Grand Forks Chiropractor Dr. Jody Walker has been serving the community for the past 12 years. Dr. Walker, a North Dakota native, spent his early years growing up in Jamestown. Shortly after High School he enlisted in the United States Navy, serving in both Operation Desert Shield and Desert Storm. After completing his time in the Navy, he returned to North Dakota. Instilled with the desire to help others and serve the community, it was time to continue his education. Choosing to stay in the local area, he completed his undergraduate studies at Jamestown College and the University of North Dakota here in Grand Forks. His path to becoming a chiropractor then took him to Northwestern College of Chiropractic in Bloomington, Minnesota. In November of 1997, earning a Bachelor of Science Degree in Human Biology and Doctorate of Chiropractic, he graduated with honors. Upon fulfilling the final requirements, he was now a Licensed Chiropractor. 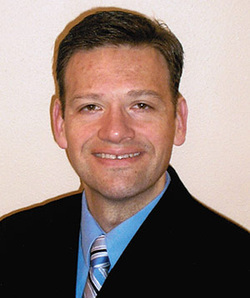 During his first 3 years as a chiropractor, Dr. Walker served the communities of Dickinson and Killdeer in western North Dakota. Then in 2001 he moved his practice to Grand Forks and has been helping local residents escape pain, while enhancing healing and overall wellness, ever since. Dr. Walker enjoys spending time with his wife and three children when not working with patients. In addition to attending his children’s school activities, he likes going to high school and UND sporting events. Dr. Walker’s leisure activities consist of excercise such as jogging, weightlifting and bicycle riding as well as reading and traveling.